Note: VIP Almond for our frames matches VIP Clay. 6 Ft. 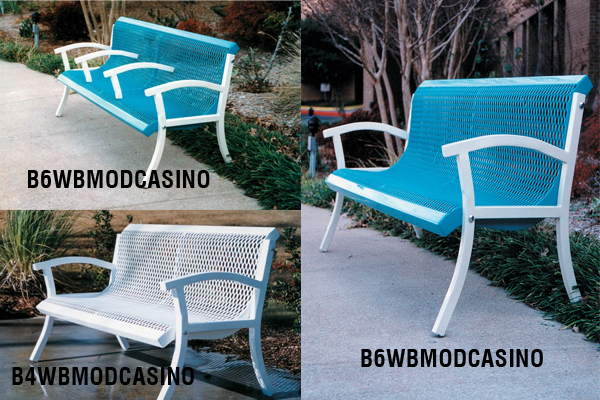 Bench with Contoured Back and Arms, Ribbed Steel, Cast Aluminum Frames, Portable or Surface Mt. 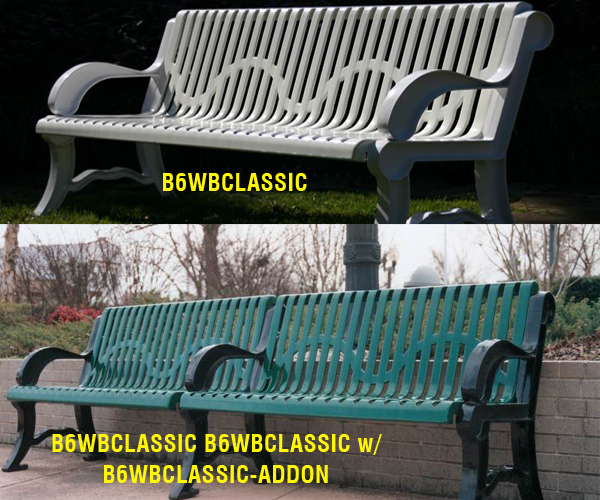 B6WBCLASSIC-ADDON 6 Ft. 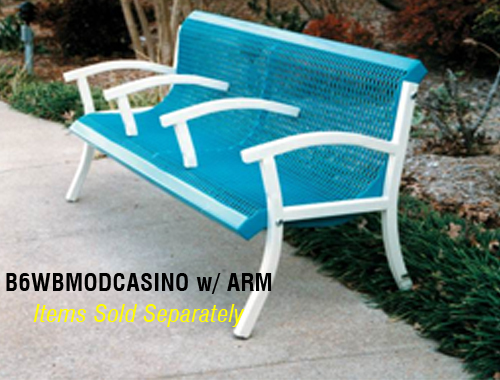 Bench with Contoured Back and Arms, Ribbed Steel, Add-on Bench, Cast Aluminum Frames, Portable or Surface Mt. 5 Ft. 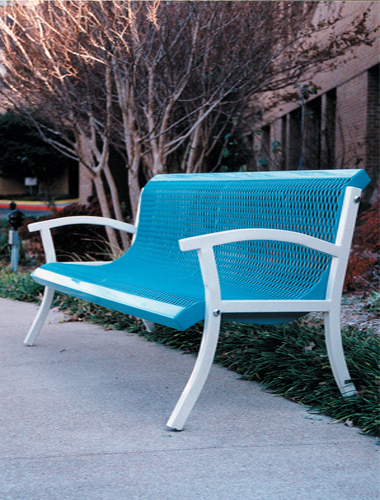 Bench with Contoured Back and Arms, Ribbed Steel, Cast Aluminum Frames, Portable or Surface Mt. 4 Ft. 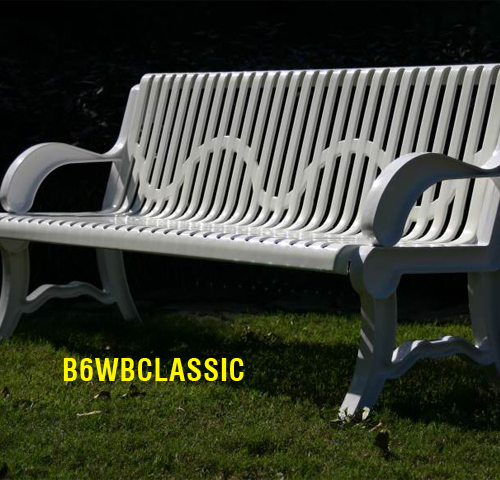 Bench with Contoured Back and Arms, Ribbed Steel, Cast Aluminum Frames, Portable or Surface Mt. B4WBCLASSIC-ADDON 4 Ft. 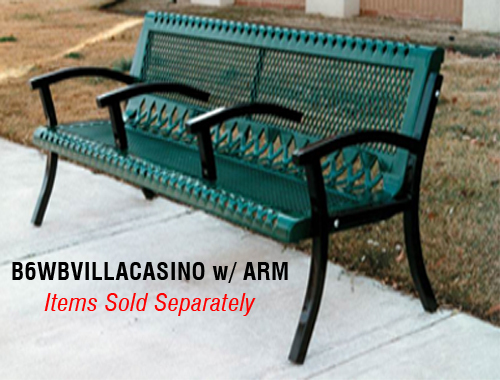 Bench with Contoured Back and Arms, Ribbed Steel, Add-on Bench, Cast Aluminum Frames, Portable or Surface Mt. 6 Ft. 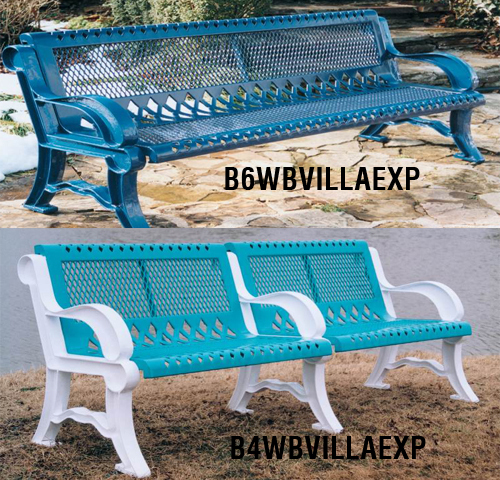 Bench with Contoured Back and Arms, 3/4" #9 Expanded Metal, Cast Aluminum Frames, Portable or Surface Mt. 4 Ft. 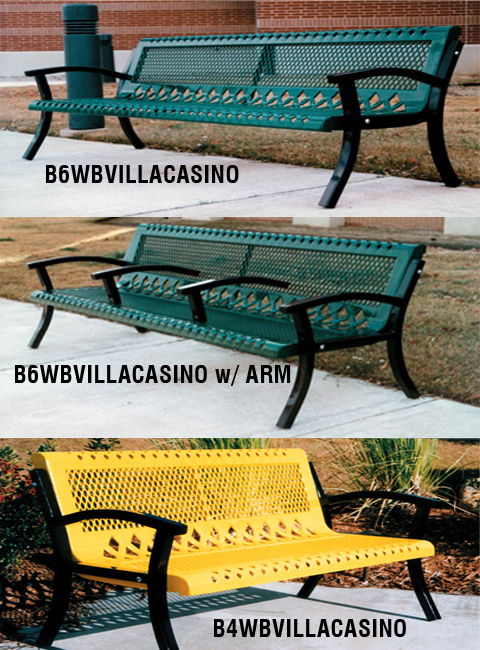 Bench with Contoured Back and Arms, 3/4" #9 Expanded Metal, Cast Aluminum Frames, Portable or Surface Mt. B6WBCLASSCASINOSM 6 Ft. Bench with Contoured Back, Ribbed Steel, 1 1/2" x 12 Gauge Square Galvanized Tubing Legs and Arms, Surface Mt. 6 Ft. 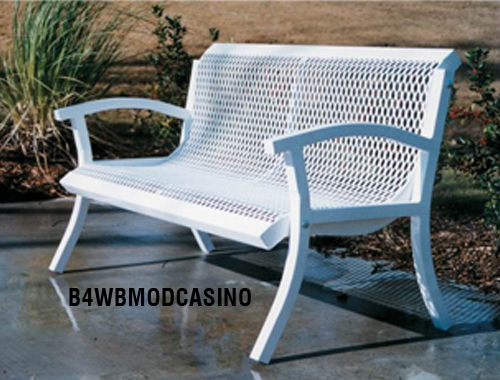 Bench with Contoured Back, 3/4" #9 Expanded Metal, 1 1/2" x 12 Gauge Square Galvanized Tubing Legs and Arms, Surface Mt. B4WBVILLACASINOSM 4 Ft. 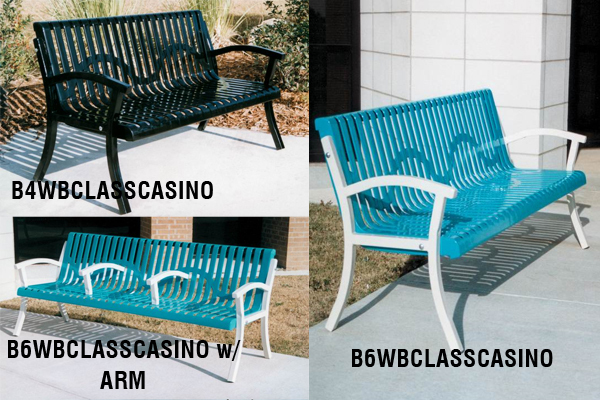 Bench with Contoured Back, 3/4" #9 Expanded Metal, 1 1/2" x 12 Gauge Square Galvanized Tubing Legs and Arms, Surface Mt. 6 Ft. 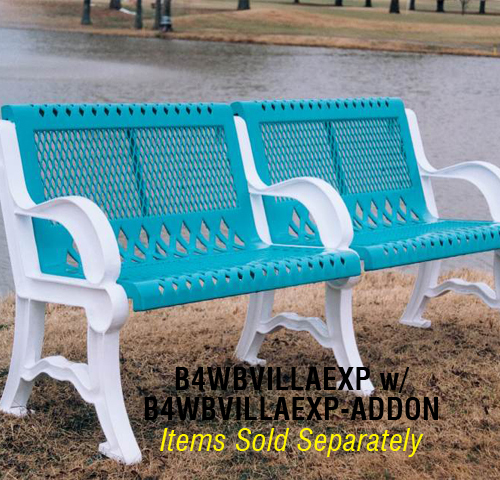 Bench with Contoured Back and Arms, 3/4" #9 Expanded Metal, 2 7/8" Legs, Inground Mt. B6WBMODERNS-ADDON 6 Ft. 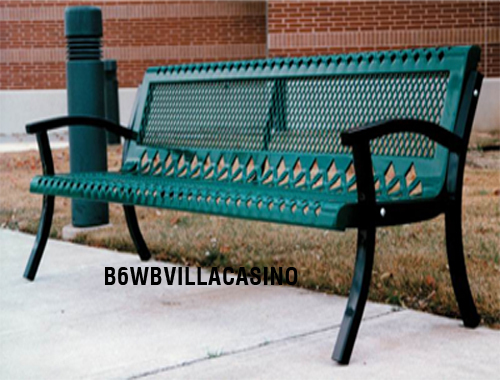 Bench with Contoured Back and Arms, 3/4" #9 Expanded Metal, Add-on Bench 2 7/8" Legs, Inground Mt..
B6MODERNS 6 Ft. Bench without Back and Arms, 3/4" #9 Expanded Metal, 2 7/8" Legs, Inground Mt. B6MODERNS-ADDON 6 Ft. 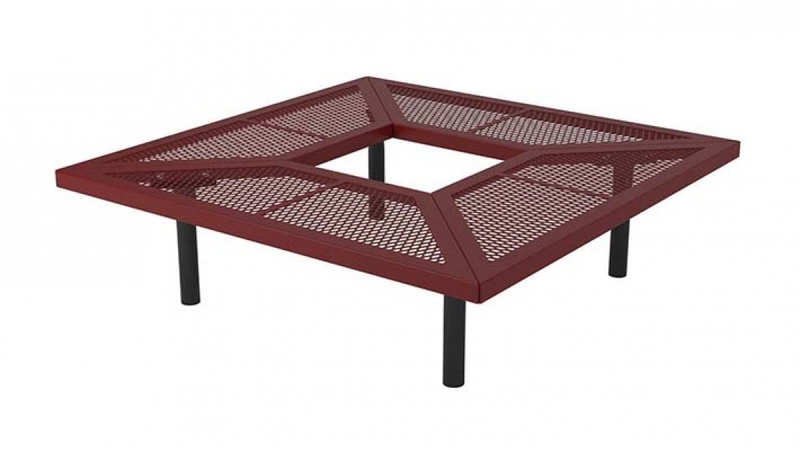 Bench without Back and Arms, 3/4" #9 Expanded Metal, Add-on Bench 2 7/8" Legs, Inground Mt..
BWBDTS3S 3 Seat Bench with Contoured Backs, 3/4" #9 Expanded Metal Straight Bench, 2 7/8" Legs, Inground Mt. 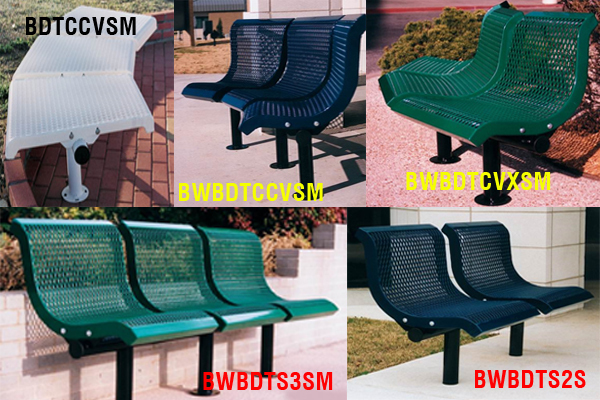 BWBDTS3SM 3 Seat Bench with Contoured Backs, 3/4" #9 Expanded Metal Straight Bench, 2 7/8" Legs, Surface Mt. 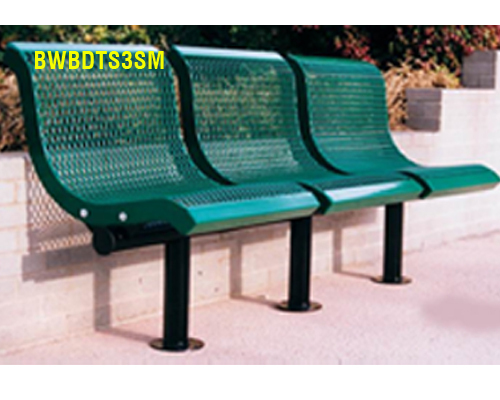 BDTS3S 3 Seat Bench without Backs, 3/4" #9 Expanded Metal Straight Bench, 2 7/8" Legs, Inground Mt. BDTS3SM 3 Seat Bench without Backs, 3/4" #9 Expanded Metal Straight Bench, 2 7/8" Legs, Surface Mt. 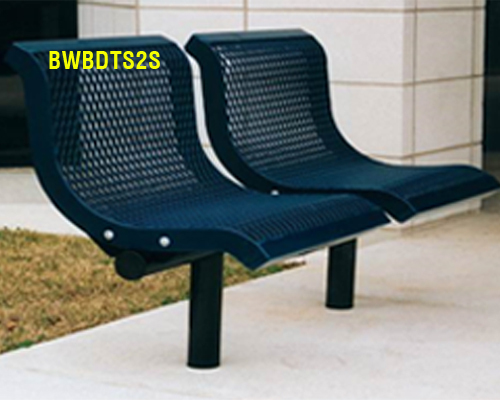 BWBDTS2SM 2 Seat Bench with Contoured Backs, 3/4" #9 Expanded Metal Straight Bench, 2 7/8" Legs, Surface Mt. 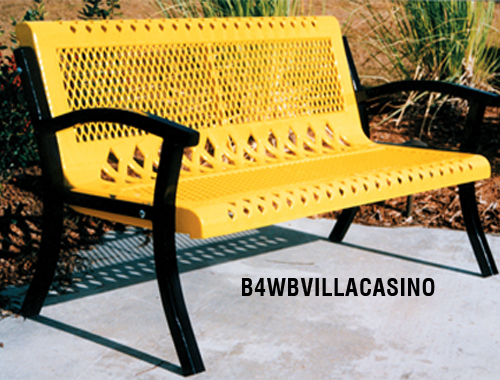 BDTS2S 2 Seat Bench without Backs, 3/4" #9 Expanded Metal Straight Bench, 2 7/8" Legs, Inground Mt. 3 Seat Bench with Contoured Backs, Ribbed Steel Straight Bench, 2 7/8" Legs, Inground Mt. 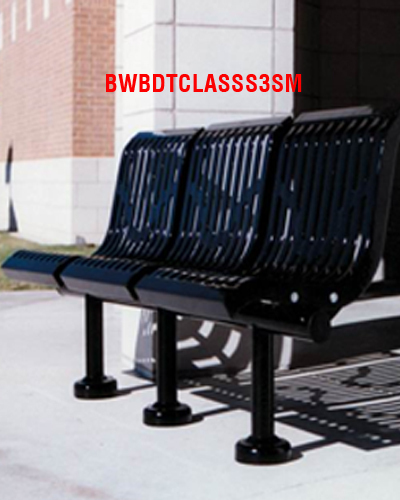 BWBDTCLASSS3SM 3 Seat Bench with Contoured Backs, Ribbed Steel Straight Bench, 2 7/8" Legs, Surface Mt. 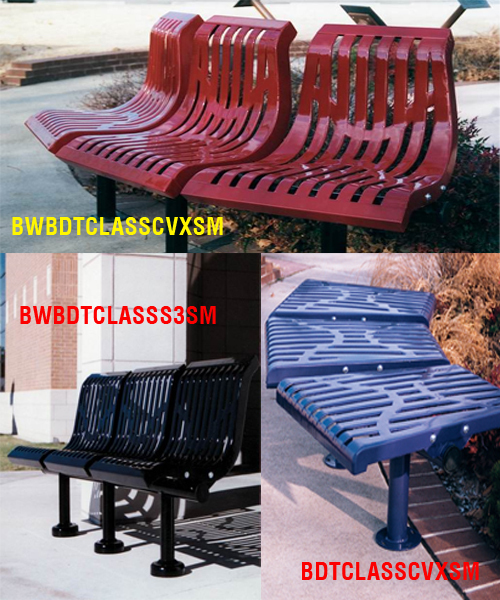 BDTCLASSS3S 3 Seat Bench without Backs, Ribbed Steel Straight Bench, 2 7/8" Legs, Inground Mt. BDTCLASSS3SM 3 Seat Bench without Backs, Ribbed Steel Straight Bench, 2 7/8" Legs, Surface Mt. 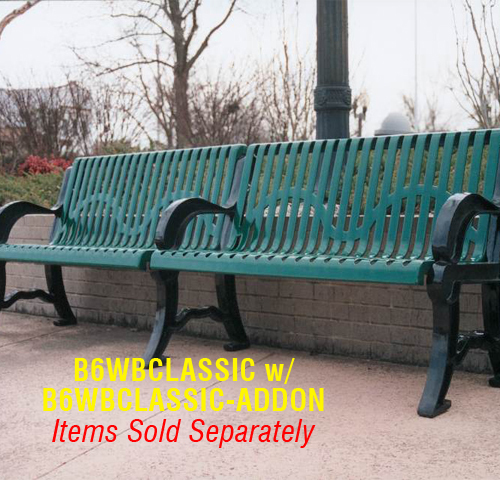 BWBDTCLASSS2S 2 Seat Bench with Contoured Backs, Ribbed Steel Straight Bench, 2 7/8" Legs, Inground Mt. 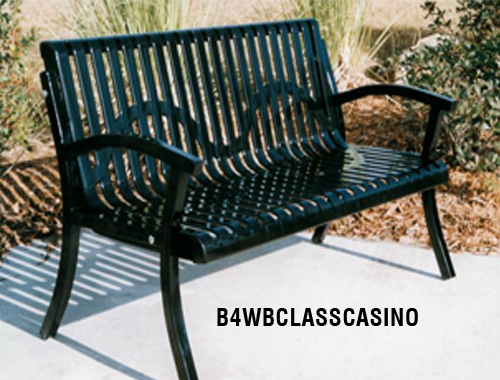 BWBDTCLASSS2SM 2 Seat Bench with Contoured Backs, Ribbed Steel Straight Bench, 2 7/8" Legs, Surface Mt. BDTCLASSS2S 2 Seat Bench without Backs, Ribbed Steel Straight Bench, 2 7/8" Legs, Inground Mt. BDTCLASSS2SM 2 Seat Bench without Backs, Ribbed Steel Straight Bench, 2 7/8" Legs, Surface Mt. GBS60S 60" Square Bench without Back, 3/4" #9 Expanded Metal, 2 3/8" Post, Inground Mt. GBS72S 72" Square Bench without Back, 3/4" #9 Expanded Metal, 2 3/8" Post, Inground Mt. 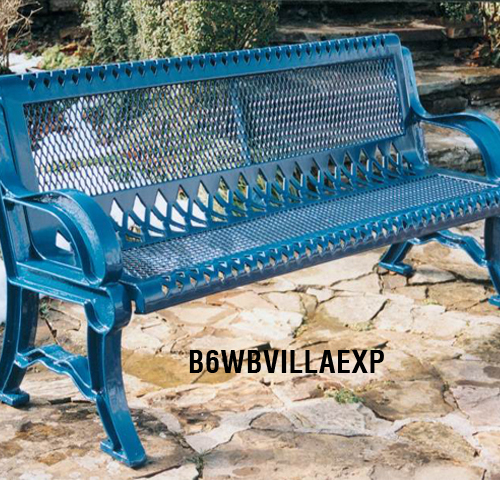 GBS84S 84" Square Bench without Back, 3/4" #9 Expanded Metal, 2 3/8" Post, Inground Mt. 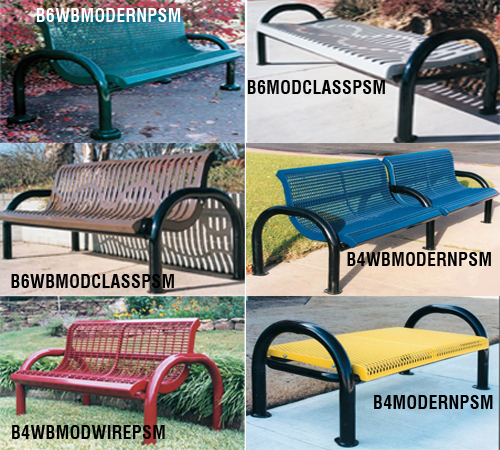 GBS96S 96" Square Bench without Back, 3/4" #9 Expanded Metal, 2 3/8" Post, Inground Mt.